The case, in stainless steel, measures 41mm x 10mm. It has double AR-coated sapphire crystals. 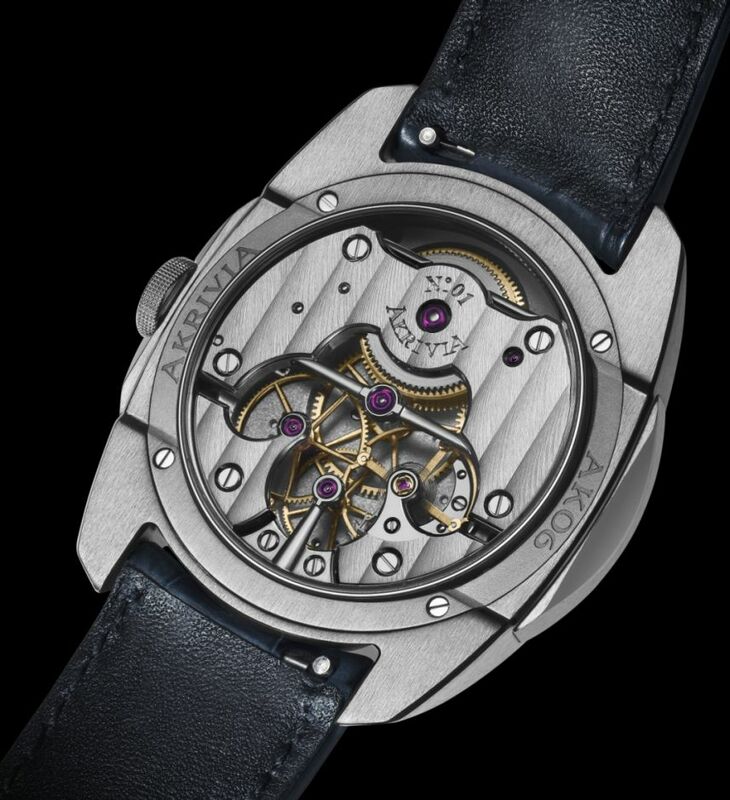 Movement is the Swiss manual-wind Akrivia caliber AK-06 with 28 jewels, 18,000 vph and a power reserve of 100 hours. It was created, developed, decorated and assembled in-house. In-house developed variable inertia balance wheel (10.5 mm) using 4 adjustable weights combined with Breguet overcoil. Functions are; hours, minutes, seconds, and power reserve indicator. 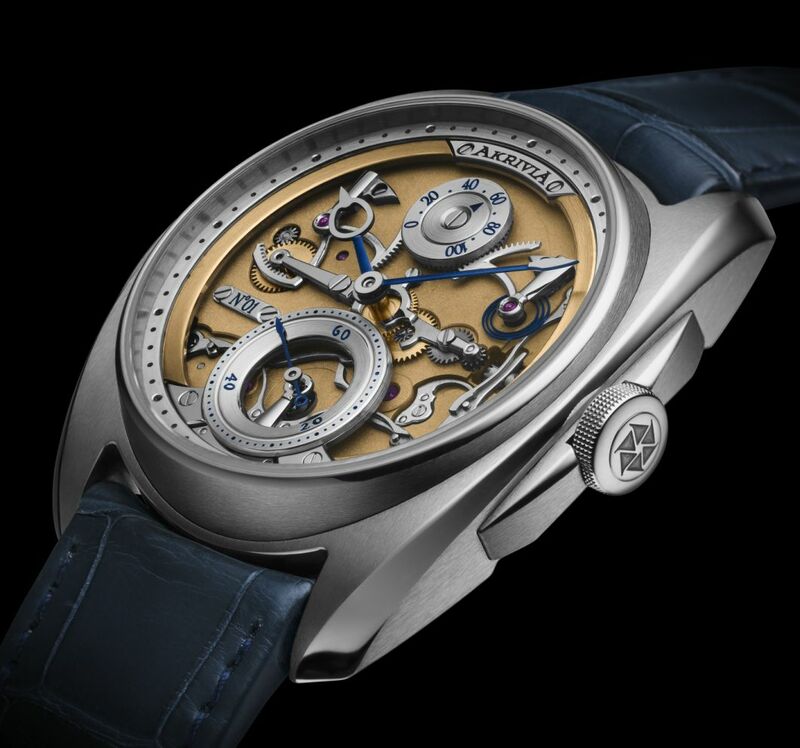 The entire movement's visible and non-visible parts have been hand-finished to the highest Genevan traditions using several traditional techniques: black polish, Côtes de Genève, hand polished and brushed surfaces, Rhodium treatment, beading and hand engraving and entirely handmade anglage. It has a combined stop seconds and seconds reset functionality. 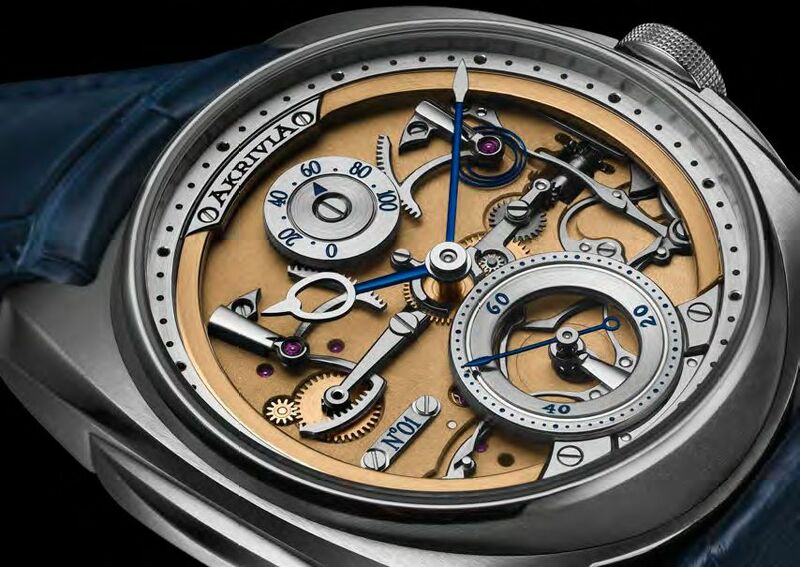 It has blued steel hands in silver sub-dials. It comes on an a blue alligator leather strap with a steel buckle.